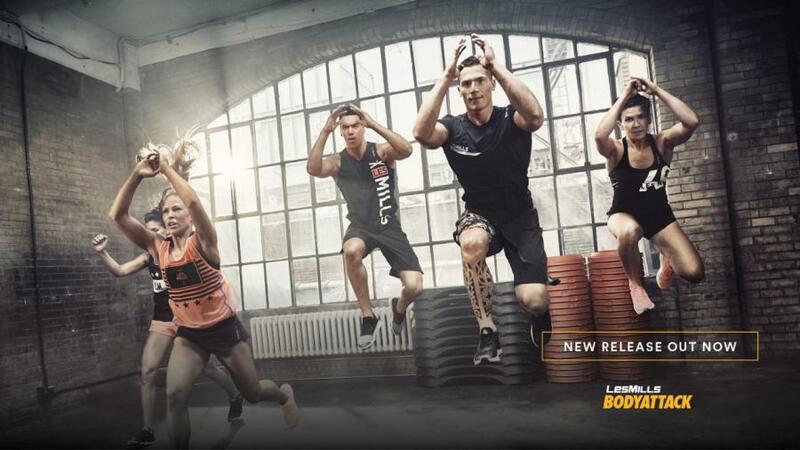 What are the benefits of BODYATTACK™? BODYATTACK™ is a 55-minute sports-inspired cardio workout that's all about improving your speed, fitness, strength and agility. You'll love the group dynamic that's at the heart of BODYATTACK™. Your instructor will first guide you through a warm-up, with big, simple aerobic moves. An increasing range of moves will gradually get more intense. You'll then really get into the zone with two intense peaks, each followed by recovery and conditioning tracks that focus on your upper, then lower body. Dig deep and push yourself through! Have some fun with class interaction, and test your speed and agility. The final track will give you time to recover and stretch, as you congratulate yourself on a job well done!